Few sports capture the imagination of the public like horse racing. Whether it’s punters putting their money where there mouth is on a jumps or flat race, or the nation pausing to watch the Aintree Grand National, racing is a sport that knows how to bring in the numbers, both monetary and TV viewers. On-course numbers too show the excitement around big races and festivals, with packed crowds at the like of Royal Ascot and the Cheltenham Festival. The nation’s love of racing hasn’t been an overnight phenomenon, as evidenced by when many of the races we know and love today were first held. The Grand National was first run in 1839, but even that is supassed by the British Classics for instance, with the 2000 Guineas dating back to 1809, Epsom Derby 1780 and St Leger Stakes 1776. 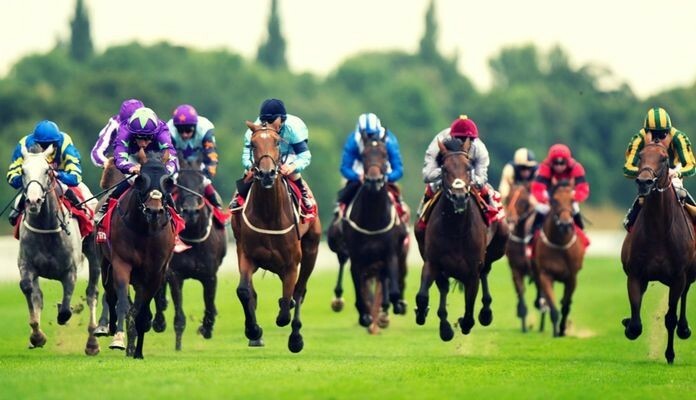 On Racing Review our main aim is to highlight what makes racing great in an holistic way, highlighting many of these unmissable races (Cheltenham Gold Cup, 1000 Guineas etc) and the racecourses (Cheltenham, Aintee, Ascot and more) on which they took place. That then sets the stage for writeups of the individuals (jockeys, trainers and owners) and horses that make these epic encounters possible in the first place. Our main focus is on an up to date approach, with articles on horses impressing in the here and now such as Enable and Wix and of trainers (Dan Skelton, Mark Johnston) and jockeys (Richard Johnston, Silvestre De Sousa) that are at the top of their game now. Fear not though, as we also feature the occasional blast from the past, with profiles of the likes of Red Rum and Lester Piggott, some of the history makers of horse racing. For each category on the site ‘horses and jockeys’, ‘trainers and owners’ and ‘races and racecourses’ we showcase a very select group in order to really capture the essence and excitement of UK racing, with a touch of interest in racing greats from abroad too. We’ll be adding new entries over time, if and when there is a real ‘stand out’ that demands inclusion on the site. To top it off, we’ll be casting an eye upon some of the best horse racing sites around, offering information and entertainment in equal measure. All in all, we aim to offer you an overview and celebration of the world of racing. Enjoy!